Klayman: No Words Necessary: This Says It All! A meeting between former President Barack Obama and Rep. Rashida Tlaib (D-Mich.) ended with a declaration by Obama to the freshman congresswoman, "I'm proud of you." Earlier this week, Obama met with a group of freshman Democrats, describing them as "a young, diverse class, stocked with a bunch of my campaign and administration alums who've taken the torch." 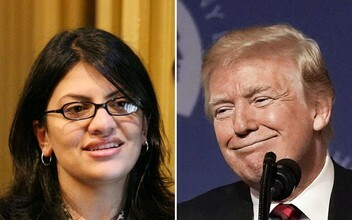 Tlaib posted a photo of herself and Obama after that meeting, and relayed what was discussed between the two.